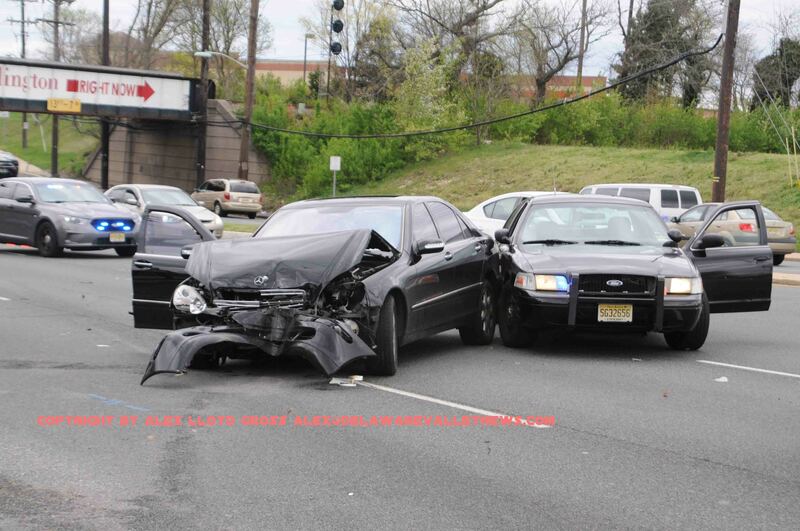 An unmarked Camden County Police vehicle sustained damage in a three vehicle crash on busy Route 70 in Cherry Hill NJ today, April 15, 2019. The early afternoon crash happened in the eastbound lanes of the highway, near Sayer Ave. One person was injured, according to officials on the scene. Police said that a car slammed into an SUV in its rear. The driver bounced from that vehicle slamming into a utility pole. After the utility pole was cracked, the driver reversed, then hitting the unmarked police vehicle on the passenger side door. Traffic was heavy east bound from several miles from the crash scene, as all of the lanes were blocked except the left lane, officials at the scene said. All of the vehicles were able to be driven away with the exception of the at fault vehicle. It is unknown if that driver will face any charges at press time.